What’s the most common question that new parents get asked at a party? Take a guess. Are you’ll getting any sleep! At the risk of jinxing it, I have to say we are spoilt in that area. Zoe is 5 months old now and sleeps through the night, 6-8 hours. It is a combination of two things – one, I worked did rather diligently on her schedule right from day one. Second, I think it’s the SNOO. Let’s talk in detail about the SNOO, since it is one of the baby gears that I get most questions about. And to be honest, I am not surprised. There are many factors that make it one of the most talked about baby items in the market. And understandably so – it is only prudent to know if it does work and is worth the relatively high investment. *Note : We always use the SNOO sack when Zoe is in the SNOO. The above was just a picture that I snagged on my phone. 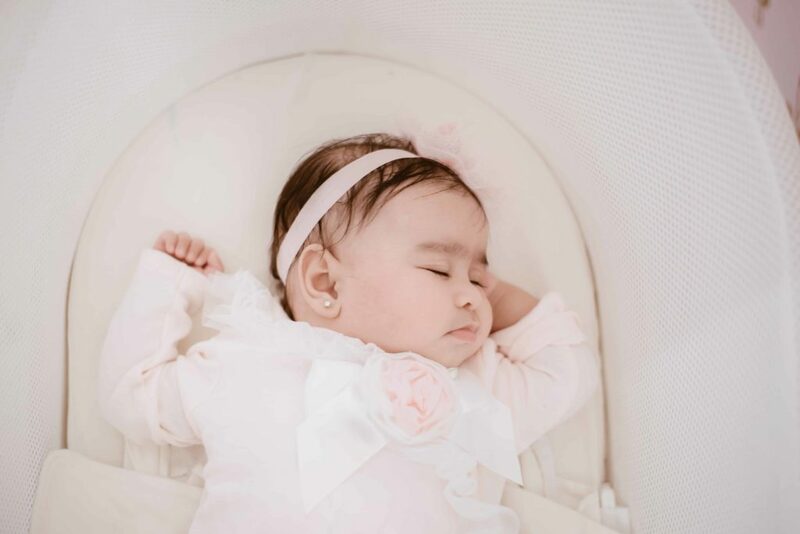 What is the SNOO : It is a smart bassinet in layman’s terms, that rocks your baby to sleep and plays white noise through its inbuilt speakers. If the baby gets fussy while sleeping, the rocking motion and white noise increases in intensity. It is pretty cool in terms of analyzing the intensity required depending on the baby’s fussiness. The idea is to mimic what the parent would be doing in such a situation to calm the baby and put baby back to sleep. In this case, the SNOO does it for you. Why do I like the SNOO : Aside from the aforementioned reason ( longer sleep stretches – honestly anything on top of that is a bonus! ) 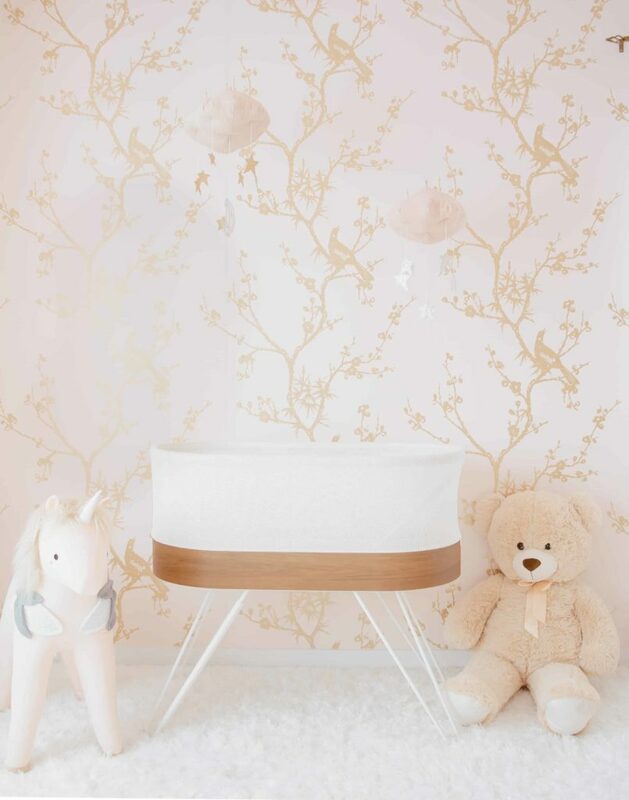 , as a parent my biggest thumbs-up goes to the fact that it claims to be the safest bassinet for kids. The swaddle wings ensure keeping the baby on the back. I remember, in the initial few weeks ( when we weren’t using the SNOO ), Amit & I were constantly getting up to make sure Zoe was sleeping on her back. The SNOO sack also acts as a zipped-up blanket, thus eliminating the need for an additional one. Another safety recommendation taken care of. You might remember that we went through a lot of swaddles with Zoe and I would laugh at Amit’s futile attempts to swaddle her, eventually losing to her ninja skills within minutes. The SNOO sack is the only one that she that she hasn’t been able to break out of, thanks to the double strapping. One with the velcro on the wings and then the zipper sack. Besides these, the sleek and minimalist design is beautiful. Everyone always comments on how beautiful it looks. It definitely is that X-factor. When to start using and transitioning off the SNOO : We started using the SNOO around the time when Zoe turned two months. Prior to that, we were using this bassinet because it was easier for feedings every few hours in the middle of the night. Once she was past that stage of having to be woken up frequently for feedings, we immediately switched to the SNOO and it has been a game changer! Transitioning off – The SNOO can be used upto six months. It has a weaning feature, so we will start using that soon to help her transition to the crib. I love that the makers of SNOO thought about details such as this one. Making the decision to buy or not / Concerns : There are a few concerns that I have heard the most. One – what if the baby becomes dependent on the SNOO and is unable to sleep the same way after transitioning. Now that was a concern that even I had. I was really scared on the weekend trip we took last month that she wont sleep without the SNOO, but that turned out to be a non-issue. The SNOO sort of trains the baby to sleep longer. I did use the SNOO sack though and I know being swaddled in the sack definitely helps her.Otherwise she is really a wiggly one and wake herself up by the constant flapping of hands. I also have to mention that, a couple of weeks ago, when Zoe had the stomach bug – I did not use the SNOO. She was very uncomfortable and kept fussing throughout the night. The SNOO detects the fussiness and increases the rocking intensity. So while it is okay when the baby needs to be put back to sleep on regular occasions, I just dint have the heart for her to keep rocking and be soothed by SNOO. I am giving this example because I heard from a couple of to-be-moms about the guilt of having a crib soothe the baby. I totally get the mom-guilt, I am a big offender myself. But when you are in desperate need of some rest – recovering from delivery, postpartum issues like mastitis, resuming work and having early morning meetings, etc – this can be a blessing! Another concern that many of you mentioned was the price. It is definitely on the higher side of the spectrum particularly for a baby item. And considering that it can only be used for six months, the cost might not seem justified. 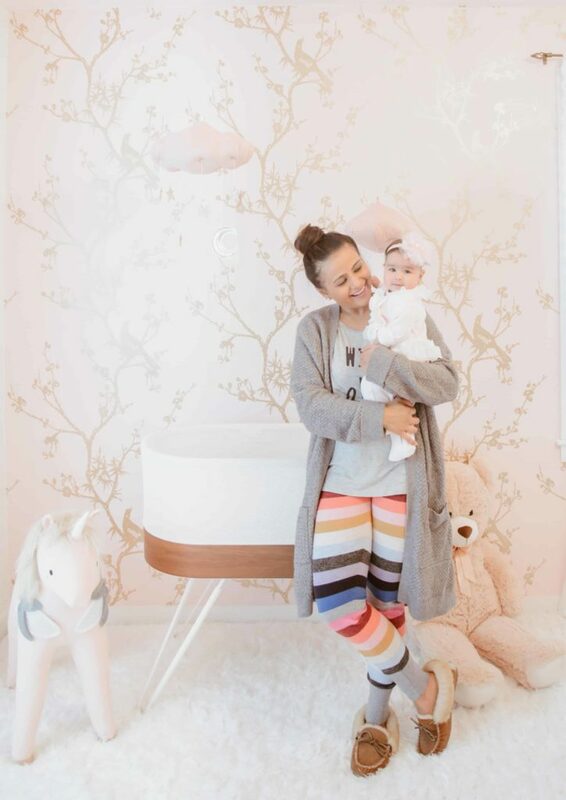 But if you have room in your budget, this is one item that I just cannot recommend highly enough – it seriously has been in my top favorites for Zoe ( as well as for us ) . Another idea for consideration might be, if you can have your friends pool in and gift it or buy it with a friend who might be using it before/after your turn – it would definitely offset the cost. Also, they have some sales going on from time to time – so definitely worth keeping an eye out for that. It definitely helps the baby and the parents sleep better. And as a new mom, I cannot stress enough on how priceless the gift of sleep is. A big Thank You to Happiest Baby for the generous gift. As always, all opinions are my own. Wow, I didn’t realize it rocks! That is pretty amazing. Ivy has always been a good sleeper, but I am keeping this in mind in case we have trouble if were are fortunate enough to have a second baby. I’ve heard such great things about this product! Great post!